The International Congress on Medieval Studies has released a preview of the sessions that have been approved for the 2015 conference in Kalamazoo, Michigan. You can find the full information for each call for papers on the Congress sessions page. While there are hundreds of sessions on medieval topics, I have listed the ones that deal with Tolkien specifically and with medievalisms more generally. The deadline for submissions is in September, but many sessions are filled well before that date, so if you’re interested in submitting a proposal, the sooner the better. “Tolkien as Translator and Translated” is a special session organized by Judy Ann Ford. 2. Martin and More: Genre Medievalisms. postmedieval: a journal of medieval cultural studies is offering “Quantum Medievalisms” (A Roundtable). Medieval Electronic Multimedia Organization (MEMO): . a special session / poetry reading, “Medieval Poetry / Modern Poets” organized by Gerard P. NeCastro. What a day for Tolkien news! This morning, in the midst of grading and preparing class notes and answering student emails, I happened to glance at my twitter feed to find that the long-awaited Beowulf translation by Tolkien is about to be published on May 22! 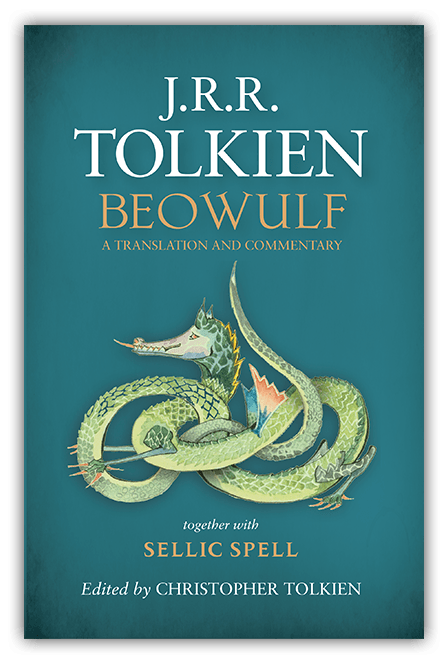 Beowulf: A Translation and Commentary is another in a series of publications by the author’s son, Christopher Tolkien, who has also recently edited his father’s The Children of Húrin (2007), The Legend of Sigurd and Gudrún (2009), and The Fall of Arthur (2013). In the early 1940s Tolkien wrote a story, Sellic Spell (unpublished), as an attempt to reconstruct the Anglo-Saxon tale that lies behind the folk- or fairy-tale element in Beowulf…. He felt, however, that in many points it was not possible to do so with certainty, and in some points the tale was not quite the same. The ‘principal object’ of Sellic Spell,Tolkien wrote in a late note, was ‘to exhibit the difference of style, tone and atmosphere if the particular heroic or historical is cut out’ (Tolkien Papers, Bodleian Library, Oxford). In 1945 Tolkien’s friend Gwyn Jones, Professor of English at the University College of Wales, Aberystwyth, saw Sellic Spell and remarked that it should be prescribed for all university students of Beowulf. It certainly sounds like something that I would prescribe for my university students, but any more posthumous publications and I will need several more weeks in the semester to cover everything that I would like! Brief notices about the book have appeared in The Guardian, The Telegraph, and elsewhere, and John Garth reports that he will have a preview feature in the Guardian Review this Saturday. But that wasn’t all the Tolkien news of the day. The Journal of Tolkien Research (JTR) has the goal of providing high-quality research and scholarship based on the works of J.R.R. Tolkien (1892-1973) and on transformative and derivative texts based on his work to a wide and diverse audience. This journal will focus on multi- and inter-disciplinary approaches to Tolkien studies, including gaming, media and literary adaptations, fan productions, and audience reception. A unique feature of this journal is its aim to include not only studies of Tolkien’s texts but also of fan productions and other adaptations, and audience reception — a broad scope that has the potential to bring in scholars from diverse fields and extend our ideas about the reach and impact of Tolkien’s work. The fact that the journal is completely free and open access means that the articles that will be published there will have the potential to find a wide readership. I’m looking forward to the first issue!